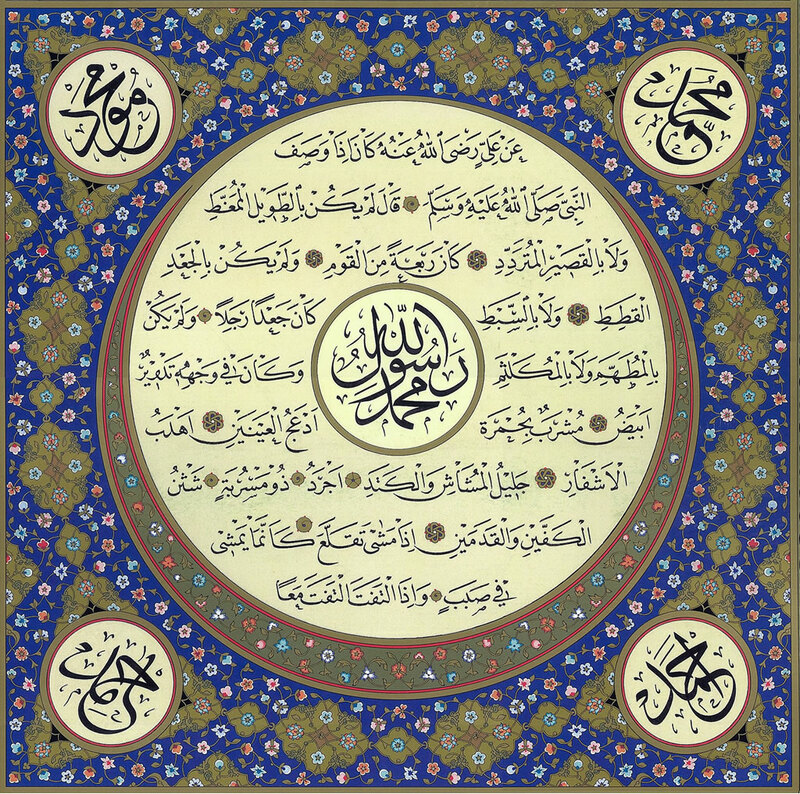 Slight variance to other Hilya Sharif designs in that the names of the Prophet sallallaahu alaihi wassallam are featured in the four small discs surrounding the blessed description in large circle in the middle, sallallaahu alaihi wassallam. 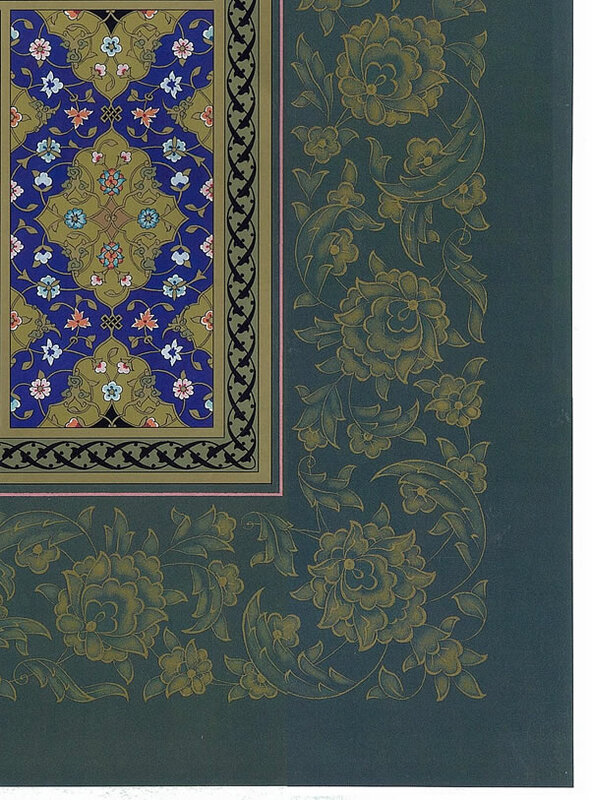 Colours: Green,blue, brown and gold combination. 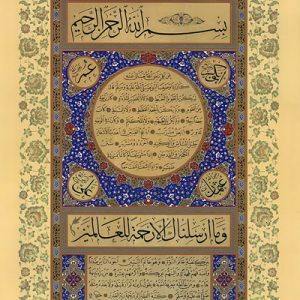 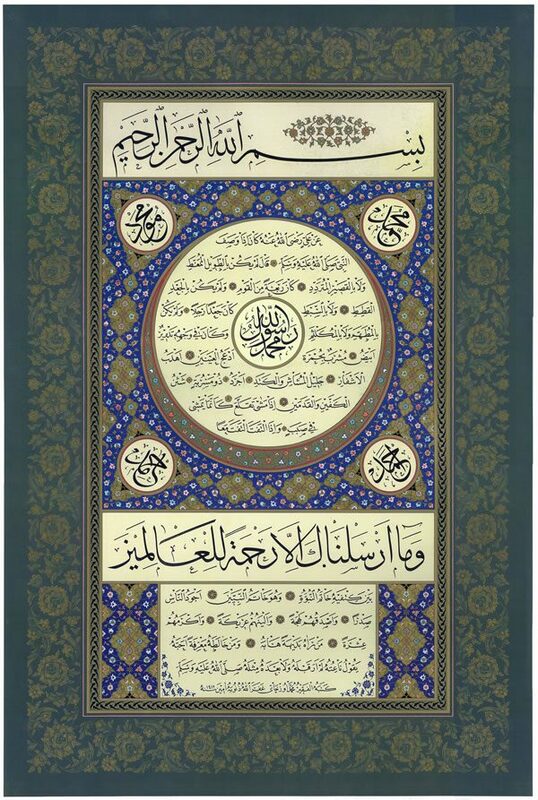 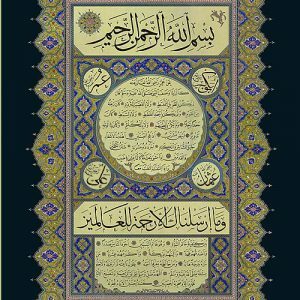 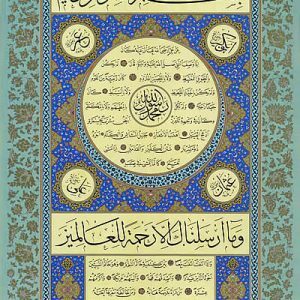 High quality Hilya Sharif print, ready to frame and adorn your home with blessings and barakah of the noble Shamail and ayat al kareemah.